Coming soon to our showroom! 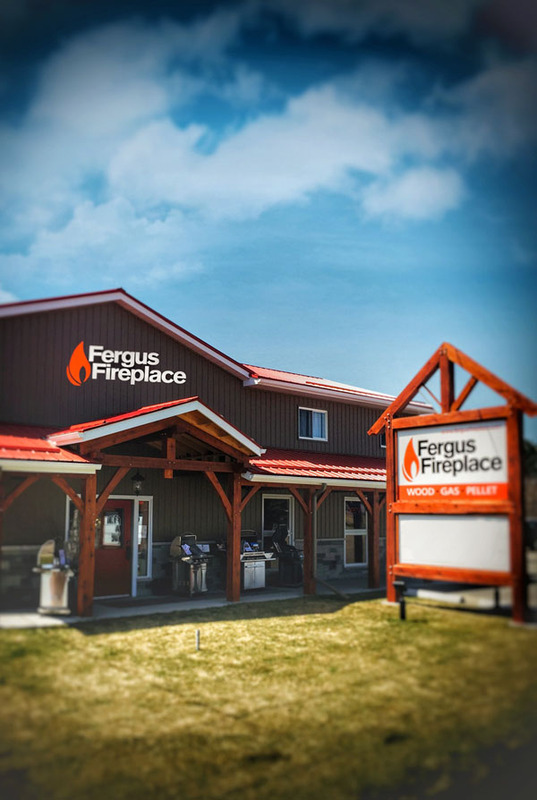 Fergus Fireplace has been offering our South-Western Ontario customers an exceptional range of indoor fireplaces, freestanding stoves, cookstoves, and outdoor fireplaces, firepits, barbeques, and related services, to enrich the beauty, warmth, comfort, and convenience of your space. Browse our highlighted products online or visit our showroom in Fergus. We look forward to serving you. Choosing the right fireplace or stove for your space depends on practical considerations like where the unit will be located, venting options, safety and construction regulations. We also understand that fireplaces add beauty, warmth, and character. We guide you through the decision-making and selection process so that your purchase optimizes both functionality and beauty. Welcome to Fergus Fireplace. A great job by everyone. Ordered a free standing Pacific Energy Mirage 18 Gas Fireplace in October and a month later it’s installed, working and looking great. Very fair pricing, great staff, beautiful new showroom and efficient installation. Job well done! Prompt, helpful service! In late December, I contacted Fergus Fireplace for help with our gas fireplace, which had been installed by our home’s previous owner. It was not functioning properly and we depended on it for heat. When I communicated the issue, the person I spoke with committed to having someone stop in to assess the issue that very day. Rather than suggesting a costly replacement, they provided honest, clear advice, which solved the problem for us easily and inexpensively! We highly recommend Fergus Fireplace for their efficiency and honesty! I Just wanted to thank Woody and his install crew for a job well done! I had a valor gas fireplace installed in my basement last year. I normally don’t write reviews, but your company did a fantastic job. I called for a quote and within that week Woody came to my house (all the way to Cambridge) and gave a fair quote. The two employees who came to do the install were very professional and did a fantastic job! Extremely happy with the work that was done and love our new fireplace! We are enjoying our Archgard natural gas fireplace. We would like to thank your 2 technicians for their efficient and professional installation. From our very first contact with your business, everything has been A1. Fergus Fireplace will be highly recommended by us.